Start Why Did The Neanderthals Go Extinct? Why Did The Neanderthals Go Extinct? The terrestrial civilization has been established with only one human species, but it could have been otherwise. Until about 40,000 years ago, a blink in geologic time, at least one close relative was sharing this planet with us. They were Neanderthals, native Eurasians that today are recovering from their reputation as brutes thanks to scientific findings that have rediscovered them as a species similar to ours in many respects. But there is something that we still don’t know about them, and that is why are they no longer with us. We have known about the Neanderthals since the nineteenth century, but for decades they were thought of as a primitive species, rightly extinguished when they came up against the intellectual superiority of Homo sapiens. The signs of cannibalism found in 1899 in Krapina (Croatia) reinforced their image as savage barbarians. Since then, much time has passed and a lot of evidence has been unearthed that has spiffed up the image of the Neanderthal people. Like us, they made tools, wore clothes, controlled fire and buried their dead. They also possessed the same variant as us of the FOXP2 gene, essential for language, so they probably spoke. Perhaps they even painted and engraved on the walls of caves. And as for cannibalism, not only did Homo sapiens also practice this, but it’s even possible that some Neanderthals were devoured by our ancestors. 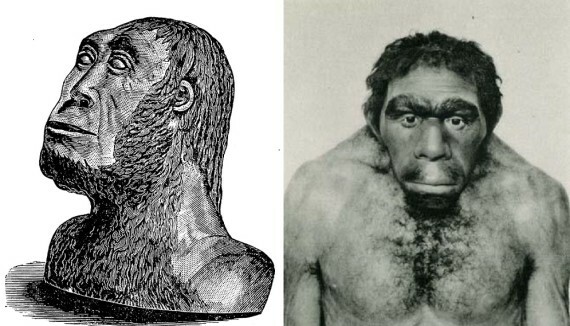 Two reconstructions of the Neanderthal man. Credit: Library of Congress / Wikimedia Commons. All of which begs the question, if they were so similar to us, why did they disappear? Given that Neanderthals and Homo sapiens only coincided in Europe for about 5,000 years after the arrival of the latter from Africa, the traditional hypothesis assumed that in the competition for resources, there could only be one human species; the Neanderthals were the losers, either by direct conflict or perhaps because of climate change that affected them more due to their more restricted diet and greater energy needs. In recent years, a new theory has been added. Several indications, both anatomical and archaeological, point to the possibility that Neanderthals had less capacity for social organization than Homo sapiens, which would have made them more vulnerable in times of scarcity. In 2014, an analysis of Neanderthal genome led by the Max Planck Institute for Evolutionary Anthropology (Germany) and published in the journal PNAS revealed that our relatives had low genetic diversity and were living in small, isolated groups. Compared to Homo sapiens, Neanderthals had less variety in genes associated with certain behaviours, particularly with features such as hyperactivity and aggressiveness. Could these genetic differences explain a difference in behaviour that would have hindered the survival of the Neanderthals? The main author of the study, Sergi Castellano, is emphatically cautious: “We don’t know the phenotypic effect of these genetic variants, so they don’t support any theory linked to behaviour,” he tells OpenMind. The difficulty, he adds, is to infer behavioural traits from the genes. According to the researcher, who is currently working on this line by introducing variants of Neanderthals and Homo sapiens separately in mice, “but years of experiments are needed” to reach any conclusion, he stresses. A Neanderthal man in the Natural History Museum in London. Credit: Paul Hudson. However, there is someone trying to advance our knowledge using another approach, that of evolutionary psychology. Glenn Geher, of the State University of New York in New Paltz, bases his research on the established fact that most modern humans, except for sub-Saharan Africans, have in our genome around 2% Neanderthal DNA, the result of ancient breeding between the two species. Geher recruits volunteers willing to undergo a genetic analysis of their “Neanderthality” and then subjects them to a comprehensive test of behaviour and personality. Using the classical methodology in psychology, the researcher then correlates the greater or lesser presence of Neanderthal variants with behavioural traits. 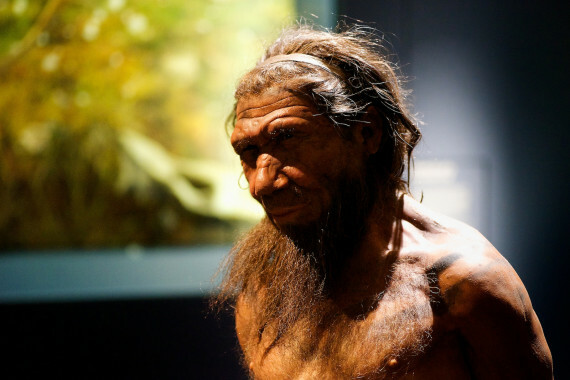 The principal co-author of the study, Jacques Jaubert, of the University of Bordeaux (France), tells OpenMind that in his opinion there is no reason to imagine large differences in lifestyle between the Neanderthals and the modern humans who lived in the same period, although both groups changed over time. In any case, Jaubert stresses that the circles of Bruniquel, built 120,000 years before the extinction of the Neanderthals, are too old to shed much light on the issue.